THE final of Halifax’s inaugural Zwingo Under-19s T20 tournament takes place at Sowerby Bridge CC on Friday (6.30). It will be between the Northern Knights, made up of players from clubs such as Bradshaw, Bridgeholme and Luddenden Foot, and Western Wolves, who include players from SBCI and Sowerby Bridge. Four regional sides from the Halifax area have been involved in six qualifying games with the Wolves booking their place in the final as recently as Tuesday, with a win over the Eastern Eagles at Northowram Fields. Woodlands’ Kieran Collins hit a century for Tuesday’s winners with the host club’s Kyle Walsh hitting 90-plus as Eastern Eagles’ chase fell just short. The Knights have powered their way through to the final with some big scores and Charlie Holt-Conway, Matthew Crowther, Connor Ryan and spinner Amy Gibson prominent. The idea of the event was to encourage teenage players to stay in the sport and graduate into senior cricket. 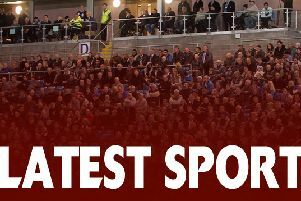 Halifax Junior League secretary Kirstin Smith said the idea had been a big success with plenty of supporters and the players enjoying themselves. It has led to a follow-up competition involving under-13s at the back end of August. She said it would be run by the Cricket Asylum and be played over four days, using the new 100-ball game format. Smith is hoping that there will be a few guest celebrities as well as representatives of sponsors Zwingo at Sowerby Bridge. Plenty of razzmatazz is promised on final night, including music, coloured clothing, a pink ball, flashing bails and fireworks. Refreshments will be available.